Pencil Tool Scaling Based On Dimension - Welcome to TVPaint Community forums ! So I've been using Pencil Tool ...and realize it doesn't seem to scale well based on dimension. Recently Clip Studio Paint Paint added "Real Pencil". They have Texture Density and Scale Ratio. Where you can adjust based on dimension such use for 4K, Print, and 1080p. 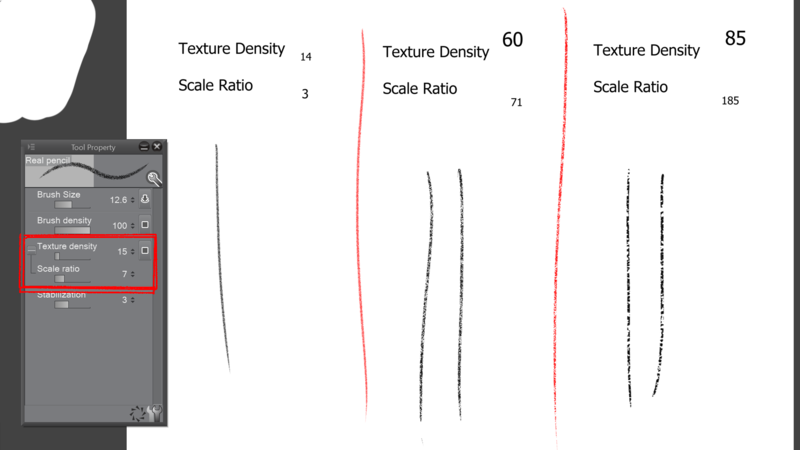 So it possible to add "Texture Density" and "Scale Ratio" to Pencil Tool for TV Paint?